Can you recommend a type of paper? WARNING: Do not try and save money on paper!!!! Paper jams cause more disruption to your business meaning down time and frustrated staff than any other single problem. Which printer is the best for me? From laser printers and inkjet printers to all-in-one, home office and photo printers, there are different printers to suit different needs. If you mostly print black text, a mono laser printer may be best. If you want to be able to copy documents too, opt for an all-in-one printer. Each type of printer has its strengths. We take into account your individual requirements such as quantities of documents printed, scanning requirements, black and white / colour, etc before recommending the most appropriate multi-function machine for the smooth running of your business and the right budget for your company. Leasing is the Efficient way to enjoy the use of your equipment without having to Own it. Rental payments are fixed for the duration of the lease. Even if interest rates rise, your rentals remain unchanged. This means that with the effect of inflation, the real cost reduces over time. Payment can be structured to meet your cash flow needs – you can determine the length of your agreement and the rental payments at the outset always mindful of the useful working life of the equipment. Leasing frees funds so you can sue them to develop your business more effectively. As your business grows, your requirement for working capital increases. Leasing offers an additional credit facility, which cannot be recalled providing the conditions of the agreement are met. A finance lease is treated as a fixed asset on your balance sheet. Leasing is far more tax efficient than owned assets, since you are not able to offset rentals against taxable profits. You can add to or upgrade your equipment as your needs change – and as technology evolves. That way you enjoy the benefits of the latest advances. Leasing is essential to business planning: 90% of Britain’s top companies use it to finance their equipment. With over 80% of Copy Print Services customers preferring this option. In a constantly changing marketplace, leasing offers the flexibility a business needs. Is the scanner on an all-in-one printer as good as a standalone scanner? Good standalone scanners produce higher quality scans than an all-in-one, but for most people the scanner on an all-in-one printer is good enough. The best all-in-ones for scanning produce great A4 scanned photos and colour pages. 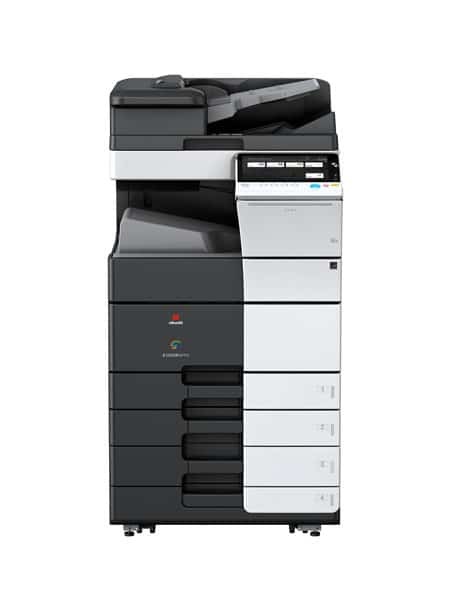 With an all-in-one you also get the benefit of being able to make copies on the same device. Will a new printer work with my old computer? Before you buy, check the printer manufacturers website to find out whether the printer has driver software available for the operating system your computer uses. The computer must work with wi-fi to use a wi-fi printer, or have a USB port to connect directly to the printer with a cable. Which printer is best for photos? Laser printers aren’t as good at printing photos as the best standard or all-in-one inkjet printers. How to buy the best photo printer – visit our advice page to help you narrow your search. Can all printers print on card? If you want to be able to print on thicker paper or card, you’ll need a printer that can handle it. Some manufacturers state the maximum page weight a printer can handle.